Be The First to Review the Friends School of Wilmington Run/Walk! The Friends School of Wilmington Run/Walk is a Running race in Wilmington, North Carolina consisting of a 1 Mile Kids Run/Fun Run, 5K. 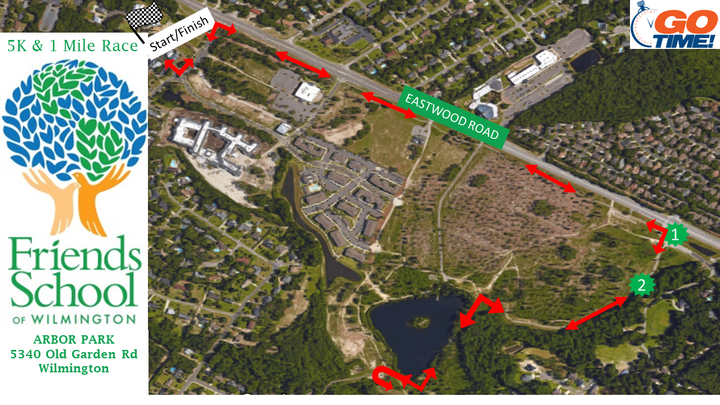 Annual Friends School of Wilmington (FSW) 5K, and 1 Mile Family Fun Run is a fundraiser event to promote family, friendship, and a strong sense of community and well-being. All funds raised will directly benefit the teachers and the students of FSW to help enhance educational experiences, while encouraging a healthy and active lifestyle for families, students, staff, and the entire community. its-go-time.com	View Course Map	Incorrect Race Info/Update Race Details?